From the world’s first nuclear propulsion in the 1940s to the current Fleet, the Naval Nuclear Laboratory has a lead role in the design, construction, operation, maintenance, training, and disposal of all nuclear reactors in the U.S. Navy Fleet, including submarines and aircraft carriers. With more than 7,000 employees at five primary locations and others around the U.S. and the world, we maintain an effective multi-disciplinary support staff including: business, technician, drafting, technical writing, information technology, project management, construction, skilled maintenance, security, regulatory, and legal professionals. Read more about our culture and career opportunities for military veterans. At Naval Nuclear Laboratory, we develop advanced naval nuclear propulsion technology, ensuring the safety and reliability of our Navy's submarine and aircraft carrier Fleets. We are proud to work closely with the Navy, training the Sailors who operate our reactors. The Naval Nuclear Laboratory is operated by Bechtel Marine Propulsion Corporation, a wholly owned subsidiary of Bechtel National, Inc. Read more. The Naval Nuclear Laboratory has an ongoing need for various talent, engineers, scientists, IT and technicians with shipboarding and other military experience. We offer innovative, exciting, and meaningful work that links military and civilian talents to achieve our mission. 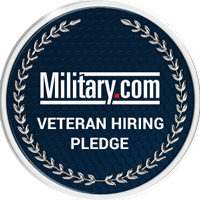 We encourage and actively recruit veterans and other individuals with military experience. Learn more.